Summer time is a great time for pulled pork or barbq chicken. How you use up the leftovers is just as important. This recipe is east meets west and offers a BBQ sauce that has a strong flavor that matches the BBQ flavor. 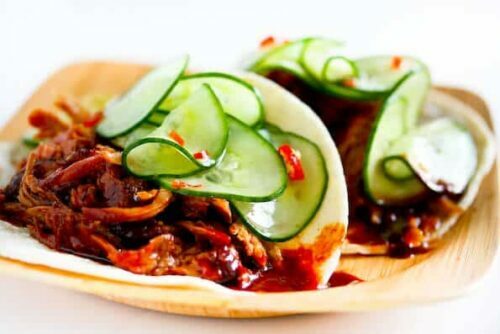 If you like add some spicy pickled Korean cabbage on the top. 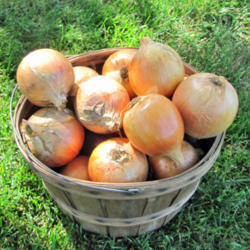 Make up some pickled cucumber and onions a summer time favorite to top it all off. Summer time in the good old USA can mean many different things from swimming to barbecuing. One thing that it means to my family is eating at the little dives that are only open during the summer time days. 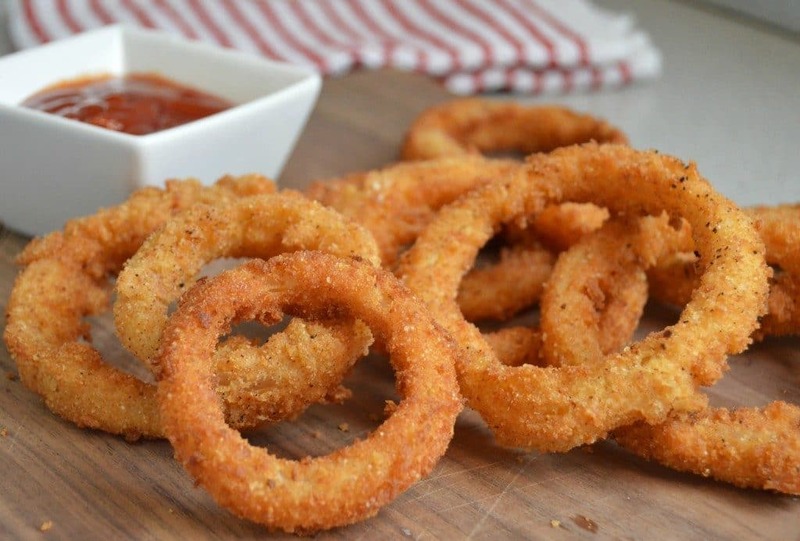 One thing we enjoy is onion rings, easy to make at home but they never taste quite the same the gang says. With the recipe I share today I have been able to make the gang very happy and if you try it at home you may find the luck as well. Enjoy!!! 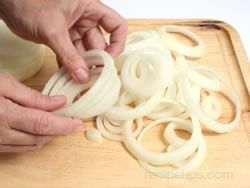 Start by cutting the onions into rings around 1/4 inch thick. 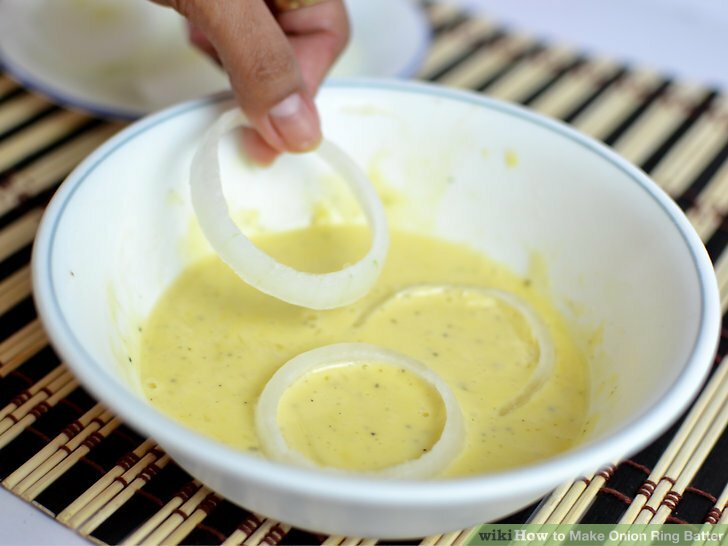 Separate the onion rings and save the small rings for other onion recipes. Next, we need a breading to dip the onion rings into. Mixing up flour, baking powder, salt and paprika or chili powder well will allow you to coat each onion ring with the mix before shaking to remove excess flour. In a second bowl, mix milk, pepper and egg til mixed well. Add the flour mix you have left and stir til no lumps are present. Coat each onion ring in the mix then cover with bread crumbs. The year as we know is set up in 4 seasons. Some parts of the world do not experience each season but the season itself is still there. Summer Solstice happens this year on June 21st. In ancient times where there were two primary seasons this time was also known as the middle of summer. 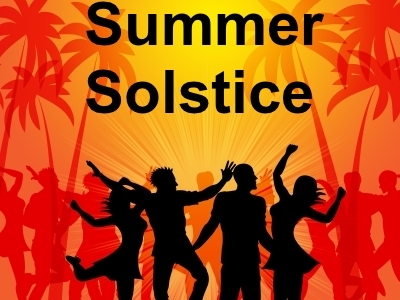 Summer solstice occurs when the sun is closest to the earth which would have been one of the hottest parts of the year. Cultures that once worshiped the sun placed importance on the summer solstice. This day in Egypt was most likely the most important day of the year. The day was the start of the Nile flood season and was celebrated during the festival of abundance and fertility. Pagan cultures named the time Kupala and celebrated fertility, dedication to the gods and the coming harvest and some celebrated a season of love as well as mating ritual. Use the scissors to cut out pieces of brown construction paper like the spots Glue stickies will allow the spots to stick to the sock. Draw two black dots for the ose of the giraffe where the fingers will be. Create a short black tongue with construction paper. On the other sock cut a small hole where the finger will pop out of the sock. Use the thick pipe cleaners, puffy balls, cut out ears and googly eyes glued onto the puppet. Make whipped cream – Using a chilled bowl whip cream, 1/4 sugar and vanilla bean paste until peaks form. Store in the fridge. Beat together softened cream cheese and 1/4 cup sugar until combined throughly. Fold 1 cup of whipped cream to cream cheese mixture and spread in pie crust. Store in the fridge. To start with try some slow breathing methods with those in your family. With all members sitting on the floor in a line or circle each member should have shoulders relaxed and chests open. Allow hands to rest on thighs with palms up. or sit with your left hand on your heart and the right hand on the back of the person to the right of you. With eyes closed practice breathing slow and silently through your nose for a few minutes. 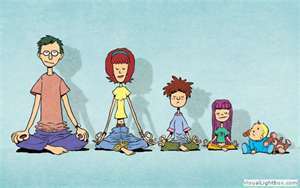 Yoga will allow family members to reduce stress. Yoga can help the family maintain proper and manners with good attitude by thinking about the poses in yoga. Acknowledging the value of connection of the person to everything and everyone should allow the family to build compassion for each other. This should help parents by allowing their guidance to influence child's behavior and actions. As the family progresses into skills of yoga a good basis of encouragement and support is built. Yoga is not judged through scores and performances but is a great time to have fun without any expectations. This allows team work to be built. In the end time for family becomes a dedication that we want to do. Happy memories will be created through great yoga experiences. Yoga demands focus and attention that will allow the family to stay determined and patient to meet goals. Keeping a positive attitude will help each family member to have a more positive outlook in life because of their experiences from sessions. Children observing parents making mistakes will allow them to see that it is ok to make errors. Set up Dremel workstation with Dremel tool fitted with 3/16-inch drill bit; pierce a hole into the tail end of the shell. Cut beading cord to desired length of your key chain. Tie one end to jump ring and begin beading small seashell beads from the other end; finish by tying one large seashell to the end. As a kid I was able to see many great times and have lots of fun One thing I loved to do was to go skateboarding. I had a couple of friends that would come home to see their grandparents every summer. They lived in California where skateboarding ruled. Go Skateboarding Day is an official annual holiday created by the International Association of Skateboard Companies. The day is used to help promote skateboarding. Dan Brown created the special day in 2004 to be hosted on June 21st the longest day of summer. In 2006 Go Skateboarding day was held in more than 32 countries with total of 350 events. Congress-woman Loretta Sanchez helped recognize the sport of skateboarding on this special day. The goal was to help encourage young individuals to get outside and enjoy the spot. The kings of the sidewalks, driveways and all types of pavement. These ants may also be located on kitchen counters or on picnic table in search of sugary crumbs. While their name indicates red color they may be red brown to a blackish brown color. They are rather small normally no bigger than 4-5 mm long. These ants sting with a non-poisonous venom. The venom does cause an allergic reactions or rash for people with sensitive skin. 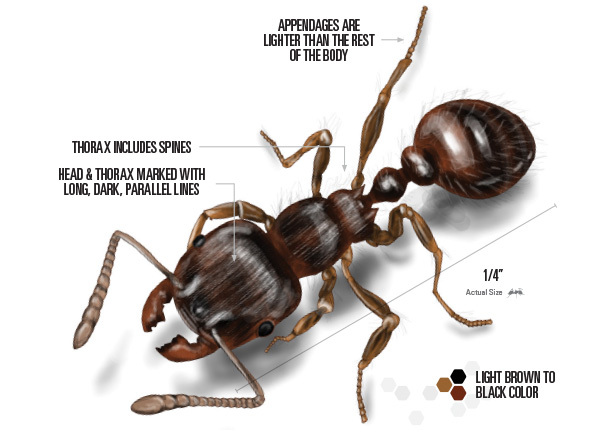 Often known as Red Fire Ants are often light brown in color but there are fire ants that are black. The red fire ant bite is more painful but both the black and red are no more than 1/8 inch long. 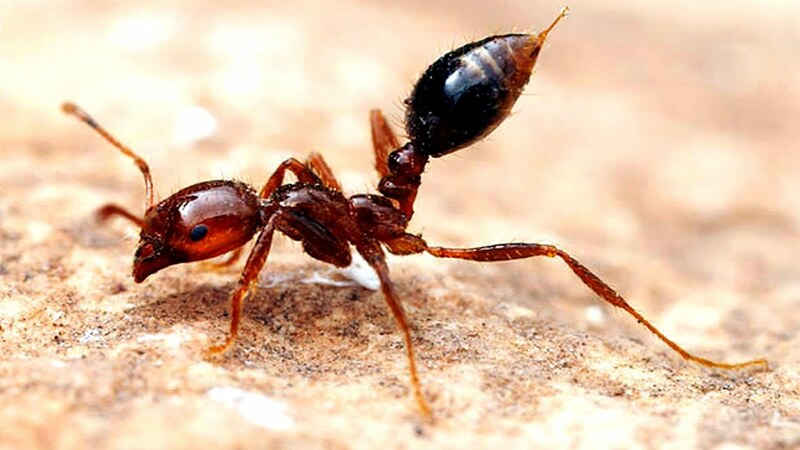 This type of ant is most commonly found in southern area of the United States. Fire ants are very protective of their territory and will fight aggressively if they feel a threat. Multiple bites with venom injected causes severe pain that leads to swelling and pus filled blisters and infection. Line a rimmed baking sheet with parchment paper. Scoop the ice cream onto the paper and freeze until ready to use. Rinse the strawberries and cut the stems off. Add to a medium saucepan with sugar and jam. Bring to a boil. Reduce heat to low, and cook for 10 to 15 minutes, or until the berries have broken down and are soft. Put the strawberry sauce through a strainer to get rid of the seeds. Pour the syrup into a bottle. Slice a strawberry almost all the way through and attach to the side of the glass. 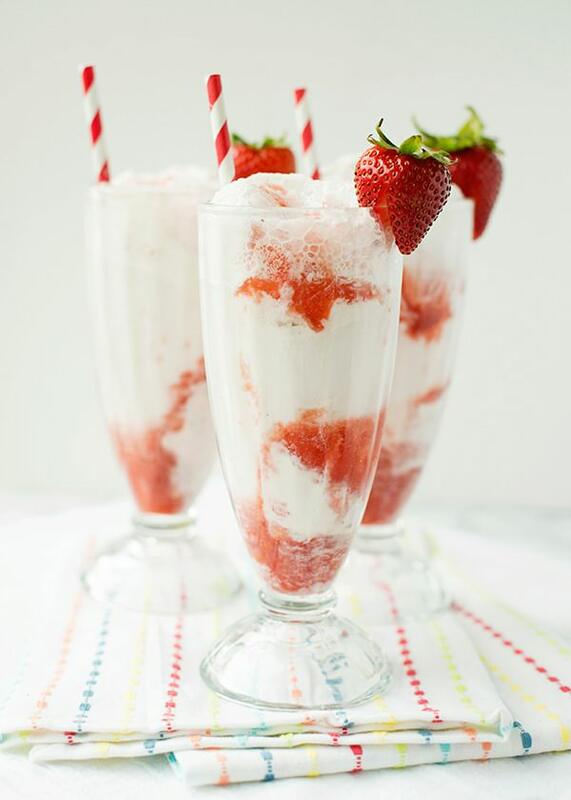 Add a scoop of vanilla and a scoop of strawberry to a glass. Pour about 2 tablespoons strawberry syrup over the ice cream. Top with sparkling water. As a freshman in high school in a much larger school in a new part of the state that I had never lived in I was a bit lost. It was with a great friend of mine and the music of Lionel Richie that made it all o.k. The songs that Richie sang were soothing songs full of love. I am sure that I was not the only one that felt the power of a Lionel Richie song. Lionel Brockman Richie Jr. was born June 20th , 1949. As an American singer, songwriter, actor and record producer he sang funk and soul in both the band Commodore and also in a career of his own. He helped Michael Jacskon write the 1985 charity single "We Are The World" Richie also holds the record for selling over 90 million records worldwide. 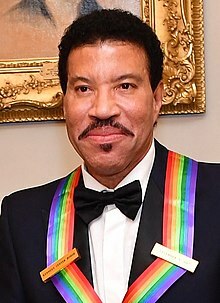 The five time Grammy Award winner Lionel Richie was inducted into the songwriters Hall of Fame in 2016 with the Johnny Mercer Award. During the 1960s Richie formed several R&B groups. In 1968 Lionel became a singer and played sax with the Commodores. Around this time he began to write and sing romantic easy listening ballads such as "Lady"
Songs such as "Hello" a popular ballad in 1984, "Stuck on you" and "Penny Lover" were the beginning of his movement into R&B. In 1985 Richie wrote and performed "Say You, Say Me" for the film White Nights. The song won an Oscar for his efforts and reached No. 1 on the U.S. charts. "Dancing on the Ceiling" produced a run of five US and UK hits. For a time after that he disappeared but returned in 1992. Richie had a relaxed schedule with recordings and concerts and live work to minimum. 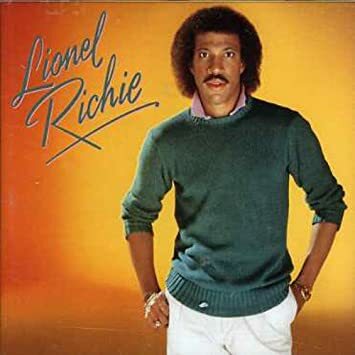 Lionel Richie's albums failed to make a breakout and was dim compared to early work. Lionel Richie's music will forever live in my personal mind and heart. Moses Harry Horwitz was his name and he was born on this day the 19th of June in 1897. You may not recognize his name and when I tell you his stage name was Moe Howard you may still be lost a bit. Moe was the leader of a comedian trio with his partners and Larry and Curly. Together the team starred in motion pictures and t.v. shows for more than 4 decades. 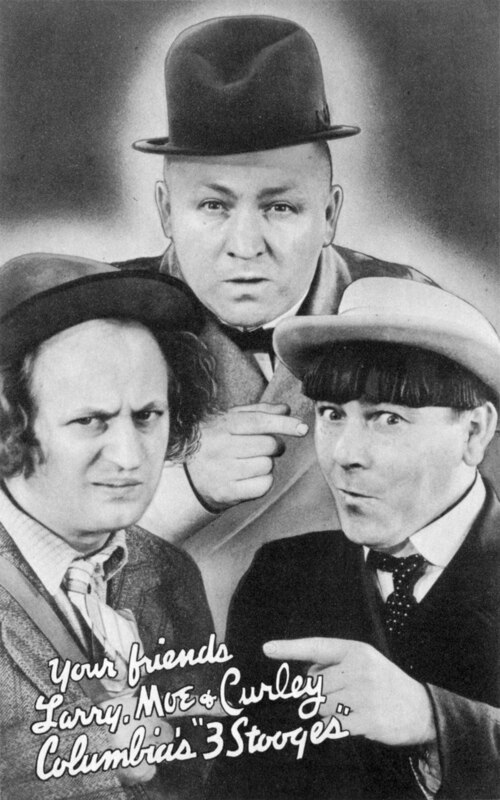 Originally the trio was known as Ted Healy and His Stooges, an act that toured the vaudeville circuit. Moses Horwitz was born in Brooklyn New York, in a party of the city known as Bensonhurst. His parents Solomon and Jennie. Solomon was one of four brothers that were of Lithuanian Jewish ancestry. Shemp Howard is the younger brother of Curly Howard who eventually became the duo known as three stooges with Moe. 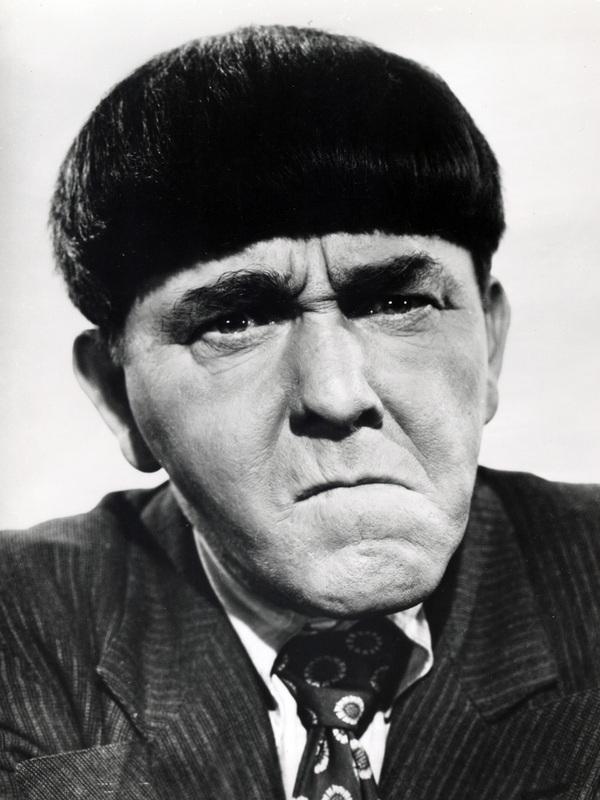 Moe earned his distinctive hairstyle when as a boy he cut off his curls with a pair of scissors. The cut produced a ragged bowl cut like shape. Moe loved to read and reading was a great pleasure of his. The books he read would help give him ideas Reading also helped him when it came to memorizing his acting lines. He sang in a bar with his older brother Shemp until their father put a stop to it. Moe sold real estate with his mother for a short period of time. There are many issues that can develop with the back. One development that occurs while the back is developing is Scoliosis. This sideways curve of the spine occurs most often during a growth spurt that occurs just before puberty. Conditions such as cerebral palsy and muscular dystrophy are other common conditions that can bring on Scoliosis. Scoliosis is often mild but may develop into spine deformities. These spine deformities may get worst as the body grows. Scoliosis can be disabling severe spinal curve that reduce amount of space in the chest area, this leads to the lungs not be able to work right. Mild cases of scoliosis are monitored by x-rays. Many times treatment is not needed, other times a brace will be needed to stop the curve from getting worst. Some may need surgery in severe cases. In the worst case of scoliosis the spine will rotate or twist. If the spine rotates or twist then the ribs on one side will stick out farther than on the other side. If any sign or symptom of scoliosis should occur in your child, then it is time to go to the doctor. Even mild curves can develop without the parent or child realizing. Curves normally appear gradually without pain. Teachers, friends, and sport teammates may be first to notice signs of scoliosis. Long term issues that may result if scoliosis is severe can include heart and lung damage. 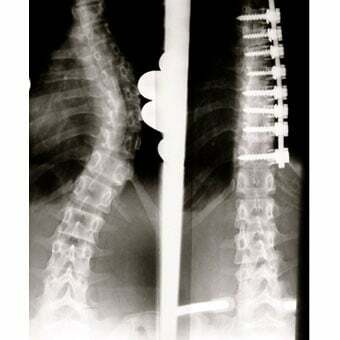 Adults who suffered with scoliosis as children most likely will suffer with chronic back pain Severe scoliosis can may cause noticeable physical changes including prominent ribs, uneven shoulders and / or hips, sideways shift of the individuals waist or trunk of othe body.